When grandfather was a little boy, the world was full of horses: pulling fancy carriages, galloping in front of a stage coach and charging into battle. 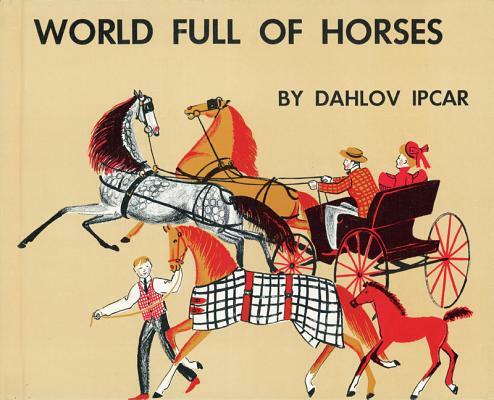 But to keep you from feeling sad because the world is no longer full of horses, Dahlov Ipcar also shows you where they are this minute--because people love them. They can be found in the West being ridden by cowboys, on racetracks being ridden by jockeys and even on merry-go-rounds being ridden by kids like you. In a career spanning more than half a century, beloved Maine artist Dahlov Ipcar has written and illustrated more than thirty children's and young adult books, including Brown Cow Farm, Deep Sea Farm and Lobsterman. She has exhibited her art in New York's Museum of Modern Art and has completed ten large-scale murals for public buildings. She lives in Georgetown, Maine.